Today Electronic Arts announced it was cutting 1,500 jobs across the entire company with many of the cuts affecting the Burnaby, B.C. office. This is a large reduction for EA as the cuts account for 17% of the entire workforce. The other EA Canadian offices that will be hit by these cuts are in Montreal and Edmonton. EA also reported today a second quarter loss of $391 million and that overall it expected a net loss for the fiscal year. Today's announcement of cuts are to be completed by March 31,2010 resulting in restructuring costs of between $130 to $150 million. 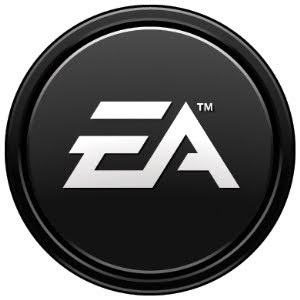 EA expects that these cuts will also save them $100 million annually. While this isn't the first cut made by EA to affect Canada - remember Black Box - this is a significant one. This move by EA makes sense from an operations and revenue standpoint as they want to focus their resources and efforts on game titles that yield higher margins and better profits. These would likely include popular and successful sports series such as Madden, NHL and FIFA as well as the Rock Band series of games. For the Canadian gaming industry as a whole, this news is quite unfortunate considering all of the recent positive news that has taken place including the opening of a Ubisoft Toronto office and increased government investment federally and provincially in Ontario. That said, it's not surprising that these types of cuts occur as we're seeing consumers showing much more discretion on how they spend their money and being highly selective on what games they purchase. With these challenges, it is expected that gaming companies will look to reduce or eliminate investment into titles that are not successful. Let's just hope that both EA and the B.C. video game industry can rebound from this soon.